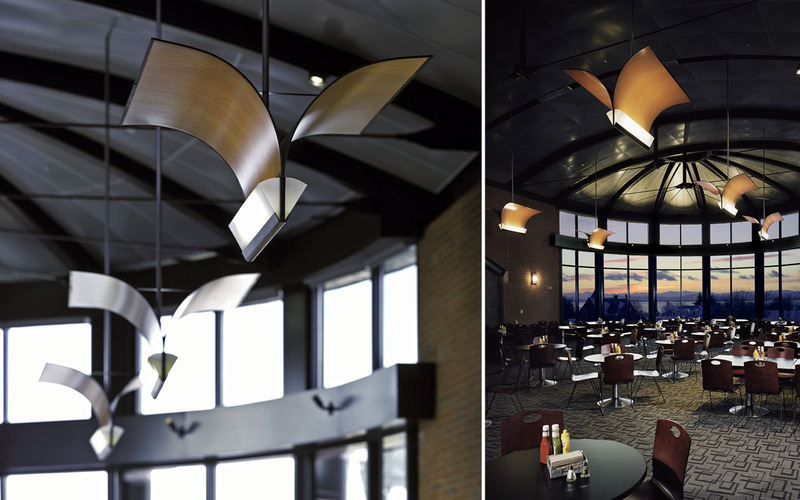 TruexCullins worked with local craftspeople to develop the Wing Light, a custom pendant with arches of wood that emulate a bird in flight. The design complements the interior architecture of the dining room at the IDX Student Center. Lined up as if in migration, the Wing Light points toward a sweeping view over Lake Champlain and the Adirondack Mountains.